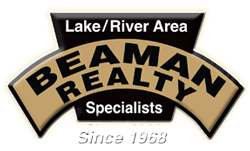 Beaman Realty founded 1968 in Lakeview. Longest continuously operating real estate agency in Twin Lakes area. Specializing in lake and river properties, but also servicing surrounding communities. MLS member, North Central Board of Realtors.